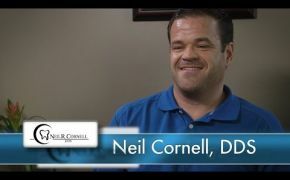 Dr. Neil R. Cornell received his undergraduate degree in Biology from West Virginia University in 1993, after which he earned his Doctor of Dental Surgery at the WVU School of Dentistry in 1997. Dr. Cornell performed his General Practice Residency (focused on oral surgery) at the Veterans Affairs hospital in Martinsburg, WV. That experience began growing his passion for providing an advanced level of treatment and wider breadth of services he wished to provide with excellence to his patients. 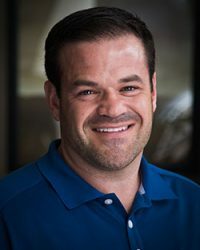 Subsequent to the VA hospital residency, he chose to pursue an implant training course and continues to participate in some of the most sought after dental peer study groups in the country. Dr. Cornell began working as an associate dentist in 1998, but soon purchased his first dental office in Atlanta, GA. He moved to Tulsa, OK in 2010, where he purchased his dental practice on Yale Avenue. Dr. Cornell participates in several national study groups including the Spear Study Club which provides him and his peers a unique opportunity to collaborate on the most challenging cases. In light of his ongoing studies, Dr. Cornell enjoys providing a level of comprehensive care that is of tremendous benefit to his patients. During the more complex cases, he walks with his patients through a learning and discovery phase, and comes to mutually agreed upon plans that can serve the patient both aesthetically and functionally. Dr. Cornell has been married to his wife, Tamara, since 2005. They have two sons, Henry and Benjamin, and attend the Church at Midtown.